LSU Peru Big Day participants scan the slopes of Abra Patricia. More than three decades ago, LSU researcher Ted Parker brought ornithological prestige to the university when he, along with friend and fellow ornithologist Scott Robinson, set the World Big Day record. A “Big Day” is a popular sport among competitive bird-watchers in which birders, either individually or as a team, compete to spot as many bird species as possible within 24 hours. Since the Parker-Robinson duo in 1982, the record 331 spotted species has been unmatched. Unmatched, that is, until a quartet of researchers and ornithologists decided to reinforce LSU’s stronghold on the title. 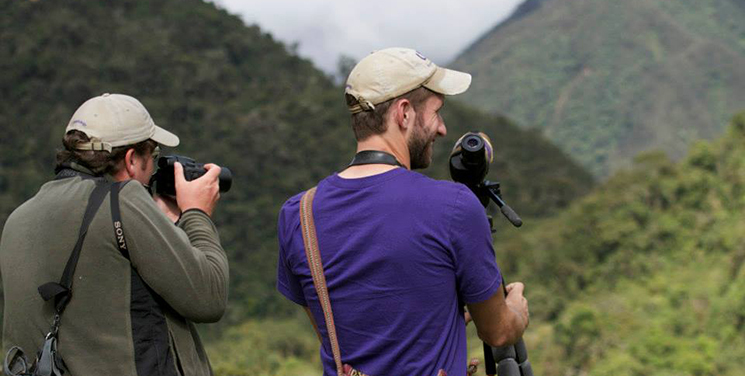 In October, the two doctoral students, a Museum of Natural Science research associate and a Peruvian ornithologist observed 354 bird species during a single day in Peru. For Robb Brumfield, museum director, and Roy Paul Daniels, professor in Biological Sciences, the Big Day signifies more than bragging rights. 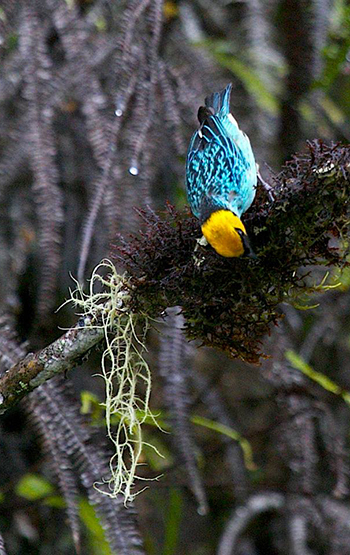 This Saffron-headed Tanager is one of the 354 bird species the LSU team spotted on their record-breaking Big Day. The Big Day was a catalyst for heightening publicity of, and raising funds for, the museum’s ornithological research program. LSU is not only a premier institution for training and research among burgeoning ornithologists, but also houses the largest bird tissue collection of any museum in the world. The museum is also credited with the discovery of 41 bird species—sometimes named in honor of loyal donors—compared to John James Audubon’s 25.